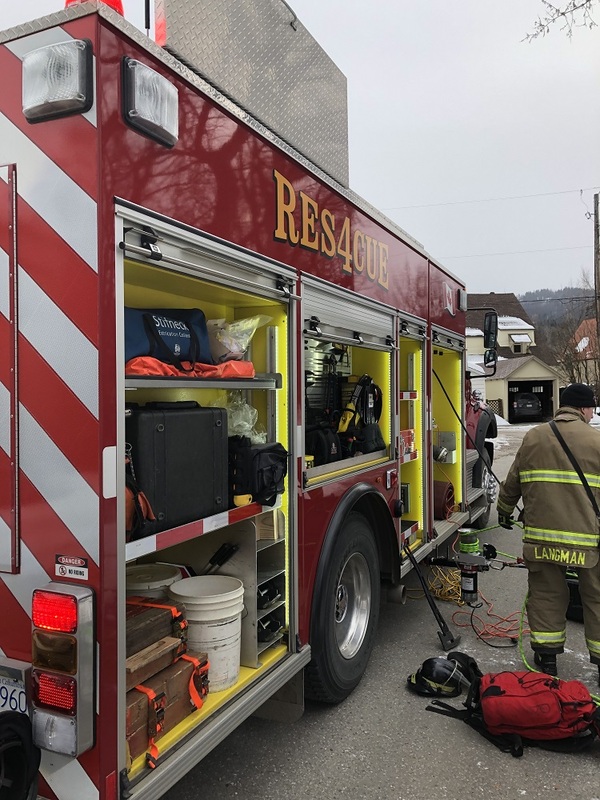 A little girl is home safe after a being rescued from a traumatizing incident last week by Kootenay Regional Fire Rescue last Thursday. Fire Chief Dan Derby said KBRFR was called to Beaver Bend Park at 2:32 p.m. to help a child trapped under logs. Firefighters used tools to extricate the child and a rope rescue hall system to transport her up the bank to awaiting BC Ambulance. The child was given to the care of BC Ambulance at 3:33 p.m., and did not require transportation to hospital. Warfield Mayor Diane Langman praised KBRFR for their excellent work. "Thanks Kootenay Boundary Regional Fire Rescue for their timely and quick rescue."